The Recreation Commission sponsors bus trips to NYC and various sporting events throughout the year. Subscribe the Borough’s Nixle system to receive notifications of shows, dates and cost. No need to formally enter! Just have your house, apartment, or business decorated by December 17th. Gift cards will be awarded for first, second and third prices! No need to formally enter! Just have your house, apartment, or business decorated by October 26th. Gift cards will be awarded for first, second and third prices! 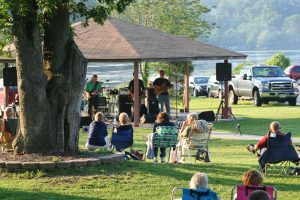 Concerts are held at DiRenzo Park, Dell Avenue on Friday evenings from 7-9 p.m. Rain dates are the following Sunday from 6-8 p.m. (unless otherwise announced). We also have a special July 4th celebration featuring two bands – start time is 4:00 p.m.
For information on current events call the recreation hotline: 973-347-7307 extension 134. Borough park and field requests are coordinated by the Recreation Commission. To download a reservation request form CLICK HERE. You can email the field.schedule@netcong.org for more information.